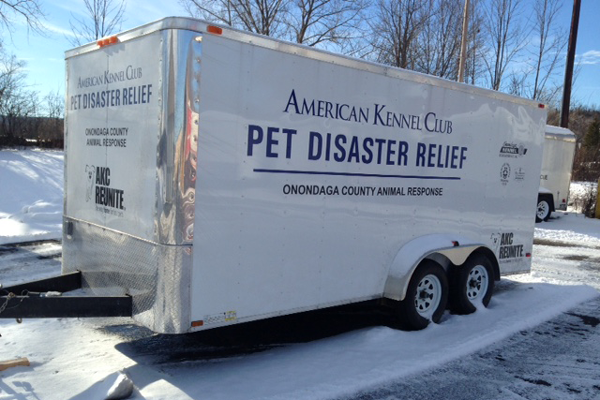 Syracuse pets will be a little safer now that the Onondaga Animal Response Team (OART) has obtained an AKC Pet Disaster Relief trailer, an emergency trailer that helps create a safe, temporary home-base for at least 65 pets immediately after a disaster is declared. 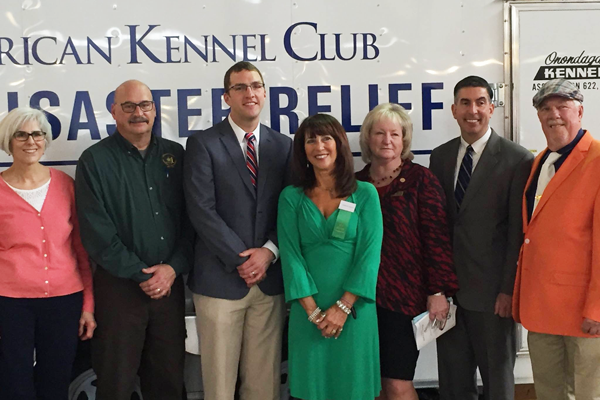 AKC Pet Disaster Relief, a national program spearheaded by AKC dog clubs and AKC Reunite, presented the trailer to local officials in a ceremony at the Salt City Cluster of Dog Shows. The purchase of the trailer for the Onondaga Animal Response Team was made possible by $22,000 in donations and grants from Onondaga Kennel Association, Syracuse Obedience Training Club, Pet Haven Cemetery and AKC Reunite, the nation’s largest non-profit pet identification and recovery service.